Sebago Sound PrototypeSummary: I don’t know what an original Steel String Singer sounds like, but if Sebago’s take on that amp is any indication, we have a winner here! This is an incredibly versatile amp that can fit any genre of music. This is my next amp.Pros: Versatility is the key with this amp. The notch High and Low notch filters let you dial in your tone to fit the genre or help fine tune the amp to your guitar. Individual High and Low notch filter knobs. Tone Bone Score: 4.75 ~ The only reason I took off a quarter point is because the reverb receive circuit was a bit noisy. I was able to dial back the hum by upping the send gain and dialing down the receive signal, but this is a prototype, so it’s understandable that there would be some tiny issues, and believe me, this is tiny. My First Impressions article pretty much said everything that I had to say about this amp. My opinion hasn’t changed. This is an absolutely SUPERB amp that has me GAS-ing VERY BADLY. And after playing with this amp for the last few days, I’m in a dream state from the hypnotic tone that this amp produces – with all my guitars. One thing I will add is that Bill Dunham emphasized that the amp is a great pedal platform. I still agree with that assessment, but frankly, this amp produces almost all the tones that I need, so I haven’t hooked my pedal board once this past week. The reverb is fantastic, and when I’ve taken the amp into overdrive, I just haven’t seen the need to use a pedal. The only exception to that is with the last clip I recorded where I ran my Strat through my Timmy overdrive before going into the amp, which was not quite at the breakup level; just slightly below. Granted, at 100 Watts, I couldn’t take the amp into breakup without an attenuator. But luckily, my trusty Aracom PRX150-Pro comes to the rescue yet again in that department. A quick note on the distortion. I wasn’t really liking the fully cranked up tone of the amp with my Strat. It’s an entirely different matter with my Les Paul. The lead tone – which you’ll hear shortly – is just incredible. With the FET activated, and both Gain and Master cranked up (Gain at 9, Master at 10), the sustain, harmonics and overtones create this absolutely gorgeous lead tone. Now by itself, this amp won’t do metal. It’s not made for that, and I don’t think it was ever intended to do that. But crank it up and throw a distortion pedal in front of it, and I believe you could easily do metal. I really won’t comment on this much because the final face plate is being produced so Bill modified a Double Trouble face plate. That’s also why I didn’t take pictures. It’s not finished, and I don’t want people to get the wrong idea that the amp will be in the condition in which it was tested. It looks great, but I’d rather get pictures of the finished product. Bill kept on saying when he dropped off the amp that it’s real strong point was clean. After playing with it, I heartily disagree. 🙂 Clean, dirty, it don’t matter. I dug the sound. In any case, I’ve recorded three clips to give you a general idea of the amp’s tonal possibilities. Mind you, I don’t have a mild breakup clip with a Strat. Once I get the real thing, I’ll share lots more clips. For now, you check out the ones I’ve recorded thus far. Note that these tracks are raw tracks. I used no EQ nor compression because I wanted to ensure that I’d capture all the dynamics of the amp. All the clips were recorded using an Avatar 1 X 12 closed back cabinet with the fantastic Fane Medusa 150 speaker. I used a single mic – a Sennheiser e609 – positioned about 18″ from the cabinet pointed directly at the center of the cone. Part of why you might hear a little static is the ambient room noise from my garage. Barely detectable, but it’s there. With the rock clip, one thing I had to get used to was the note separation in touch sensitivity of the amp when I’ve got it cranked; actually, even in heavy overdrive. I didn’t really have to change the way I play, I just had to make sure that if I was chording, then I needed to be smooth with my strums, otherwise you’d hear every dang string being plucked. 🙂 It was a pretty easy adjustment. With the SRV tribute song, as with the other clips, I didn’t EQ the guitars at all, though with the lead, I did add some reverb and a touch of delay to give the tone some air. I also ran the guitar through my Timmy overdrive in front of the amp. Other than that, what you hear is what the amp and the Strat are producing naturally though the final recording has a touch of compression. With the first part of the clip, I’m playing through the neck pickup, then switch to the bridge pickup and turn the volume of the guitar up a couple of notches. In any case, to me, the clips I’ve provided tell a good story of what this amp is capable of. As I mentioned, in a clips, what I’ve laid down is the raw amp sound, completely unprocessed except for the SRV tribute. The tones are absolutely gorgeous! Sorry, no pictures nor sound clips – yet – but I wanted to get out a first impressions post on this wonderful amp. Personally, I’ve never heard or seen a real Dumble Steel String Singer other than Doug Doppler’s video of one of Henry Kaiser’s SSS, so I can’t really make a comparison between Sebago’s amp and the original. But if I were to sum up what I’ve heard from Bill’s newest amp in my short time playing with it, and if you don’t want to read any further, all I can say is that this amp sounds like nothing I’ve ever played before; presenting a complex and rich tonal palette that truly gives it the ability to be used in ANY type of genre. And make no mistake, it doesn’t lean towards a particular camp, as in Fender or Marshall. This amp has a sound all its own, and it has completely blown me away! I don’t say that lightly, by any means. I’ve tended to be a bit jaded with Dumble-style amps probably due to all the hype that’s associated with them. And though it could be argued that Sebago is doing yet another knock-off of Dumble amps, I believe Bill Dunham’s approach is not to create pure clones, but rather to create great amps that he believes capture the spirit of a Dumble amp; and not be an exact reproduction. At least to me, being a copy-cat is absolutely boring, and Sebago amps are far from boring. When Bill first contacted me the other day about the new amp, I asked him if it would have the FET input. He replied no, but when he delivered the amp, he had constructed the FET circuit. I’m glad he did because it tweaks the tone in a very nice way. Unlike an original Dumble, the FET circuit on the Sebago amp is relegated to another input. Bill instead makes it an activated feature via switch (either push-pull or footswitch). According to Bill, the FET provides some extra gain at front-end that produces an asymmetrical clipping that’s not quite distortion though you know something’s happened. 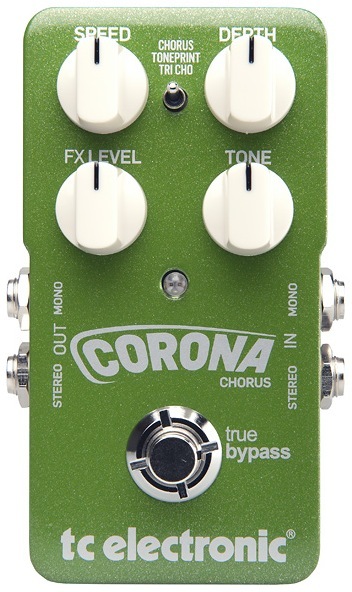 To me, it “feels” like a compressor as when it’s switched on, the tone feels much richer and fatter. If I were to own this amp, which I probably will in the future, I’d probably have the FET on all the time. The distinctive thing about Dumble amps is all the EQ tweaking you can do. The Overdrive Special has the three mini toggles plus the three-band EQ knobs. But the Steel String Singer adds two incredibly useful High and Low notch filter knobs. I believe these two filter knobs are responsible for making the magic of this amp, and these are the knobs that I played with the most, once I set up the EQ. Having the filter knobs really helped me dial in all sorts of tones from spanky, sparkling cleans to big bottom-end crunch – with a Strat, no less! The Low notch acts like a cut, where the High acts like a midrange voicing knob that you find on various amps. The combination of these two allow you to adjust the amp’s basic tone to fit your guitar and cabinet. For instance, I’m playing the amp through my Avatar 2 X 12 with a Celestion Gold and a Jensen Jet Falcon. Even with the Falcon, which has a lot of bottom-end content, the cabinet tends to be bright. But a few clicks of the Low notch filter helped bring out the lows. Just incredible. As far as the reverb goes, I dig that it’s in a loop, and that you can control how much signal goes into the tank, and control how much gets added back. It allows for really fine control of the reverb, and I spent quite a bit of the time playing with it to see what it could produce. In the end, I set the Send to about 10-11 am, and just twiddled with the Receive to control how much I reverb I wanted to add back into my signal. Very cool. So how does it sound? With cleans on a Strat, it is other-worldly. There’s so much harmonic content in the signal that depending upon how you set the notch filters and reverb, you can get almost a chorus-like effect which is absolutely dreamy. But you can also get spanky country cleans again, by adjusting the notch filters. Those really give the amp its personality. As far as dirt tones go, as Bill put it, most of the harmonic content is in the preamp section, so you can crank the preamp and keep the master down. Me, I like cranking the power tubes to get them working. But either clean or dirty, there’s a real depth; almost a 3D quality to the tone that’s total ear candy! With both the Gain and Master cranked, I have to admit that the amp doesn’t sound all that good. The overdrive sound becomes really muddy, and even more so with the reverb on, and no amount of EQ would clean it up. But backing off the Master to about 2:30 to 3pm, gave me a nice, ballsy growl. Can’t wait to try that out with my Les Paul. Bill did say that at least to him, the amp is a great pedal platform, and that putting a Tube Screamer in front of the amp can get you that SRV tone. Based upon my eval thus far, with the FET and a Tube Screamer, that may just be true. There’s TONS of clean headroom with this amp, so using it with pedals will be ideal. I found that the sweet spot of the amp is setting it at the edge of breakup with the FET on. In addition to the aforementioned compressor-like quality the FET introduces, the clipping gives the signal a bit of “hair.” I wouldn’t necessarily call it breakup, but you know there’s some distortion. It’s a great tone that I hope to be able to capture once I make some recordings of the amp. Gawd! I know I’m loving a piece of gear when I write a lot about it. This amp has so much character, and I have yet to really do an exploration of it in both the studio and at a gig, which I will be doing this weekend. I am SO looking forward to playing with it more! By the way, the name of the amp obviously will not be “Steel String Singer.” Bill has told me what he intends the name to be, but I won’t share it until the product’s actually out the door. It will have a Southwest-flavored name in celebration of that SRV tone. But make no bones about it, this amp can do way more than the blues. For more information, and to keep up to date with the release, go to Sebago Sound’s product page. I finally got some time to post my very first full video review (the Dumble series doesn’t really count because it wasn’t really a review, but more of a demo). So here, I present to you the Sebago Sound Double Trouble 100, an 100 Watt amplifier from a newcomer to the amp business and another entry in the very popular Dumble-style amp genre. As I mentioned in the last video segment, I’m giving the amp a 4.5. Tone-wise, it’s a fantastic amp, but personally, I’m just not in pre-amp-only distortion, and like to have the power amp side working in conjunction with the pre-amp side. It’s just a lot beefier and dramatic to me. Cranked up like this, the amp performs wonderfully; and I especially dig using the boost as it seems to add even more clarity and note separation. For more information on these great amps, check out the Sebago Sound website!